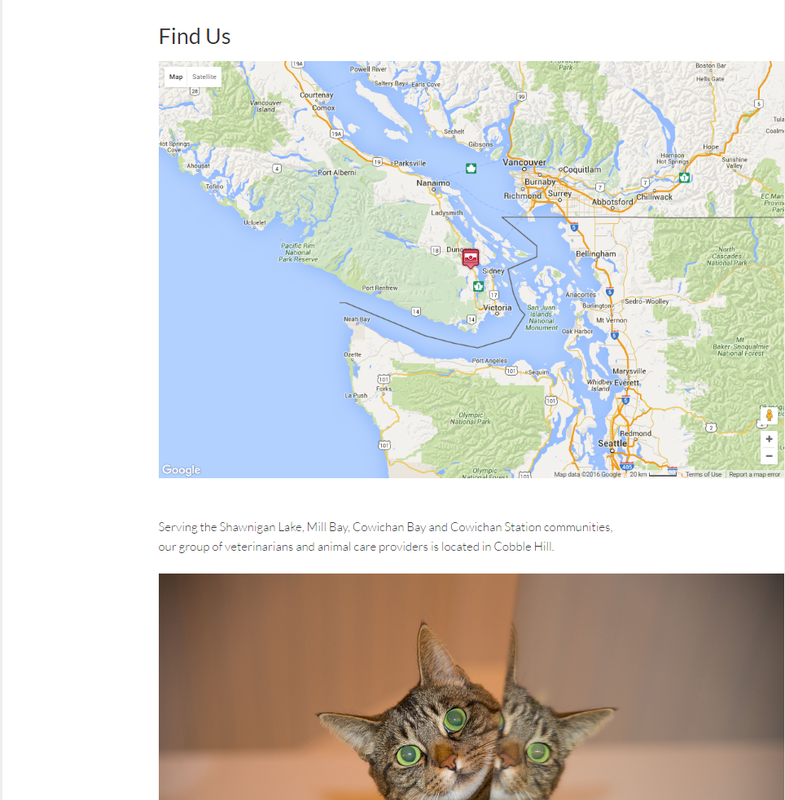 Business website for a veterinary clinic in Cobble Hill, BC. 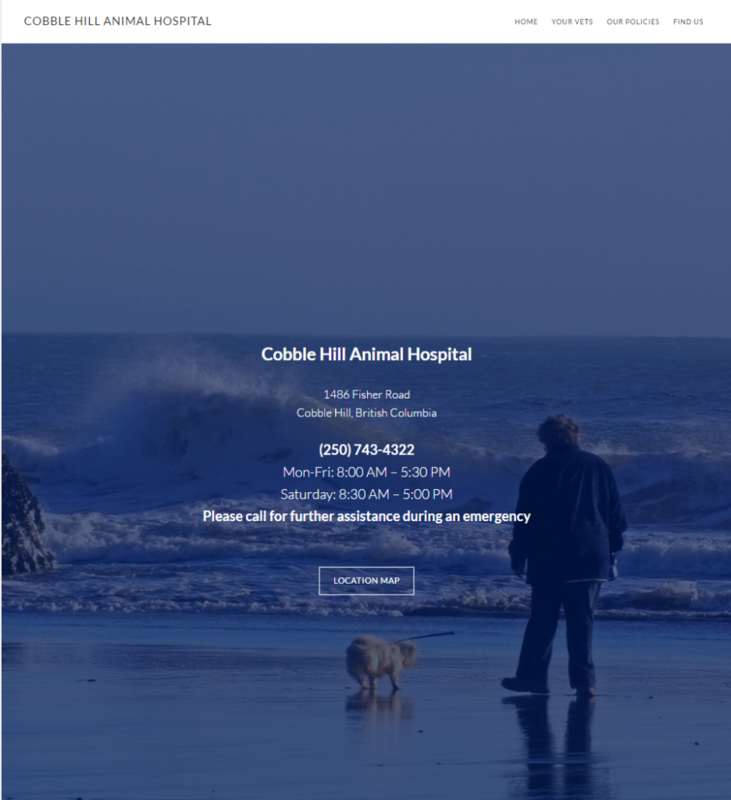 The goal with the Cobble Hill Animal Hospital website was to create a clean website that is easy to navigate and utilize on mobile. 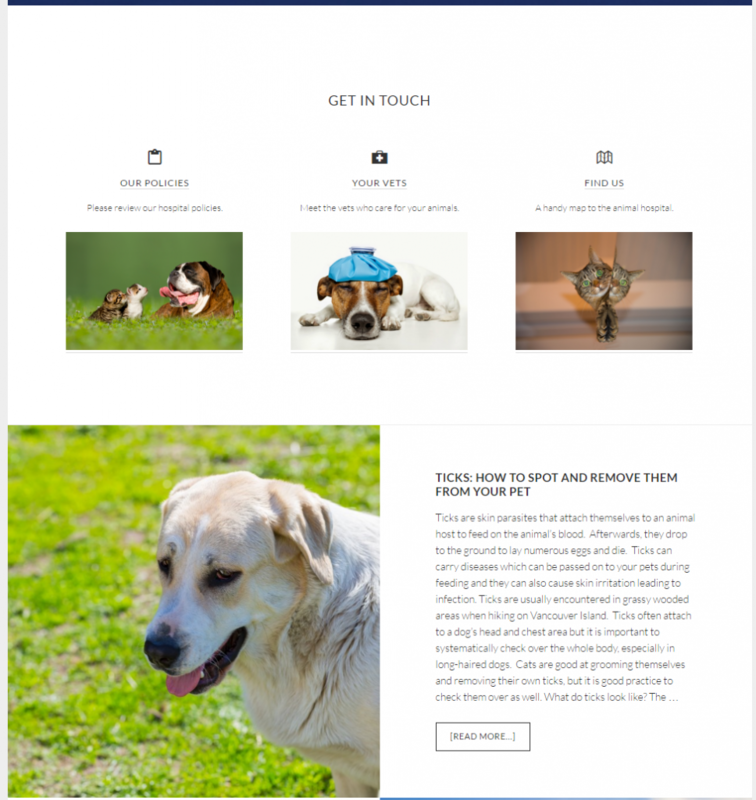 The audience for this site is people in need of a new veterinarian in their area, or in need of emergency vet care. Due to those needs, the site was designed to highlight the phone number, address and hours, in a way that made the information extremely easy to access. In order to facilitate search engine rankings and to give the website some substance, we included additional, relevant content by sourcing a qualified freelancer.